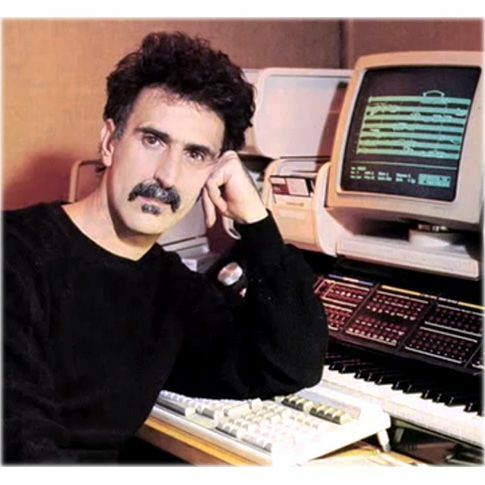 Frank Zappa and the Synclavier. ​In 1986 Frank Zappa released his final studio album in his lifetime; for the remaining seven years of his life, he would only release live concert albums. Jazz from Hell is an instrumental album whose selections were all composed and recorded by Frank Zappa. It was released in 1986 by Barking Pumpkin Records on vinyl and by Rykodisc on CD. Zappa won a 1988 Grammy Award for Best Rock Instrumental Performance for this album. What is a "Synclavier" ? The Synclavier was an early digital synthesizer, polyphonic digital sampling system, and music workstation manufactured by New England Digital Corporation of Norwich, Vermont, USA. It was produced in various forms from the late 1970s into the early 1990s. The instrument has been used by prominent musicians. The original design and development of the Synclavier prototype occurred at Dartmouth College with the collaboration of Jon Appleton, Professor of Digital Electronics, Sydney A. Alonso, and Cameron Jones, a software programmer and student at Dartmouth's Thayer School of Engineering. The system evolved in its next generation of product, the Synclavier II, which was released in early 1980 with the strong influence of master synthesist and music producer Denny Jaeger of Oakland, California. It was originally Jaeger's suggestion that the FM synthesis concept be extended to allow four simultaneous channels or voices of synthesis to be triggered with one key depression to allow the final synthesized sound to have much more harmonic series activity. This change greatly improved the overall sound design of the system and was very noticeable. 16-bit user sampling (originally in mono only) was added as an option in 1982. This model was succeeded by the ABLE Model C computer based PSMT in 1984 and then the Mac-based 3200, 6400 and 9600 models, all of which used the VPK keyboard. Original Keyboard (ORK, c.1979): original musical keyboard controller in a wooden chassis, with buttons and silver control wheel on the panel. Sample-to-Disk (STD, c.1982): a first commercial hard disk streaming sampler, with 16-bit sampling at up to 50 kHz. Sample-to-Memory (STM): later option to sample sounds and edit them in computer memory. Direct-to-Disk (DTD, c.1984): a first commercial hard disk recording system. Signal File Manager: a software program operated via VT640 graphic terminal, enabling 'Additive Resynthesis' and complex audio analysis. What is interesting for us is the fact that the Synclavier was a very advanced and elaborate midi-instrument which revolutionized the music industry. After two decades of depending on the skills, virtuosity, and temperament of other musicians, Zappa all but abandoned the human element in favor of the flexibility of what he could produce with his Synclavier Digital Music System. The selections on "Jazz from Hell" were composed, created, and executed by Zappa with help from his concurrent computer assistant Bob Rice and recording engineer Bob Stone. Far from being simply a synthesizer, the Synclavier combined the ability to sample and manipulate sounds before assigning them to the various notes on a piano-type midi keyboard. At the time of its release, many enthusiasts considered it a slick, emotionless effort. In retrospect, their conclusions seem to have been a gut reaction to the methodology, rather than the music itself. As I am since a few years an avid amateur of making midi based music, I took the challenge to revive some tracks of this groundbreaking album on put them on my youtube channal. I will present one track here which is made with commercial available DAW's and midi files which are available on the web. Frank Zappa's music keeps inspiring me since I bought my first Zappa record in 1968 and I was lucky to see him perform on several occasions live on stage. 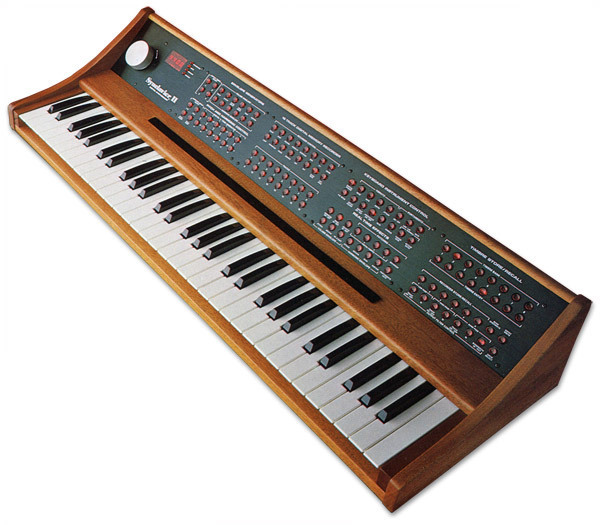 It's hard to find an actual Synclavier these days, but you can find information on the Synclavier at Vintagesynth.com and Arturia released a softhsynth reproduction of the Synclavier V in 2016. Friday, 22 June 2018 Frank Zappa and the Synclavier.